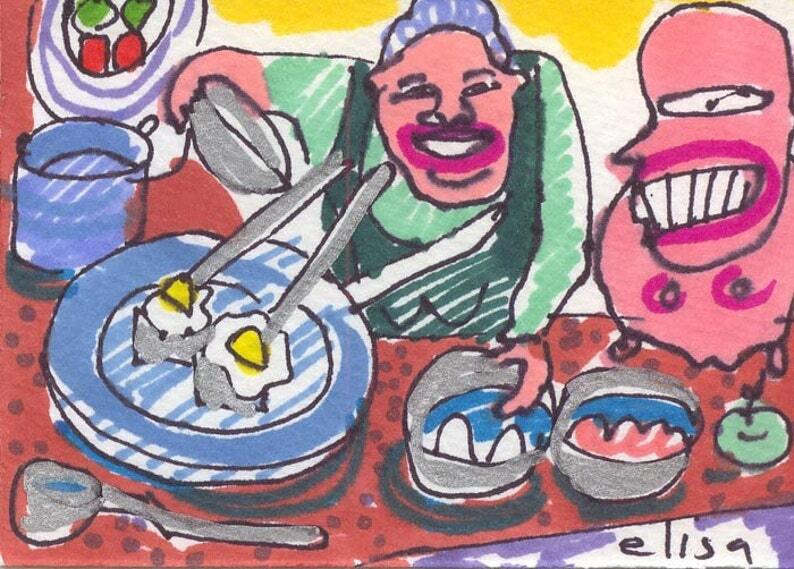 The art trading card you are viewing is a marker sketch straight from the subconscious pit of Mondoexpressionism. These are quick stream-of- conscious images which can loosely be compared to the "Art Brut" or "Outsider Art" style of painting. Devoid of cultural constraints, these images are are raw, untainted, and unrestrained.